Media is a region of north-western Iran, best known for having been the political and cultural base of the Medes. 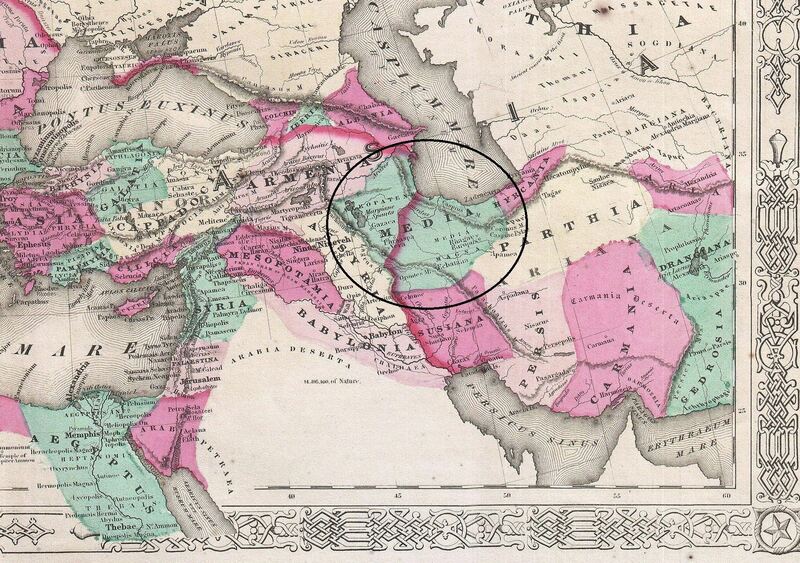 During the Achaemenid period, it comprised present-day Azarbaijan, Iranian Kurdistan and western Tabaristan. As a satrapy under Achaemenid rule, it would eventually encompass a wider region, stretching to southern Dagestan in the north. Alexander the Great occupied Media in 330, and in the partition of his empire, southern Media was given to the Macedonian commander Peithon and eventually passed to the Seleucids, but the north was left to Atropates, a former general of Darius III, who succeeded in founding an independent kingdom, named Atropatene, with its capital at Gazaca. Southern Media remained a province of the Seleucid empire for a century and a half, and Hellenism was introduced everywhere. About 152 BC, however, Media was taken by the Parthian king Mithradates I, and it remained subject to the Arsacids until about AD 226, when it passed, together with Atropatene, to the Sāsānians.